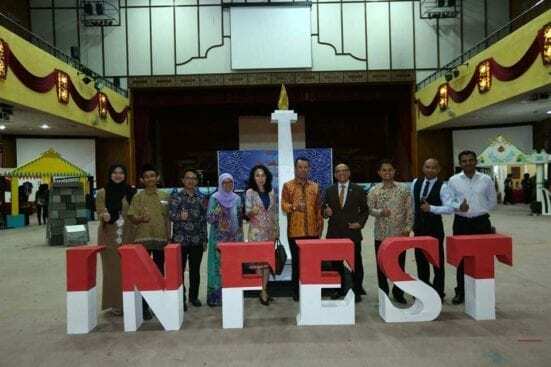 JOHOR BAHRU, 8 March 2018 – Indonesian Students Association (PPI), Universiti Teknologi Malaysia (UTM) in collaboration with UTM International organized The Indonesian Festival (INFEST) 2018 on 8 and 9 March 2018. Haris Nugroho officiated the INFEST 2018 with a ribbon cutting. INFEST 2018 was officiated by The Consul General of Republic Indonesia, Haris Nugroho at Dewan Sultan Iskandar, UTM Johor Bahru. The Vice President of PPI, Miftachul Huda said, that INFEST 2018 was organized with the theme ‘Legends of the Archipelago’ to show that Indonesia was an integral part of the history of the Malay archipelago. “The first Indonesian Festival was held in 2010 and continued to 2011, 2013 and 2014 which was the last year PPI organised such an event, till today. “This programme will be showcasing the beauty of Indonesia which is rich in art and culture. 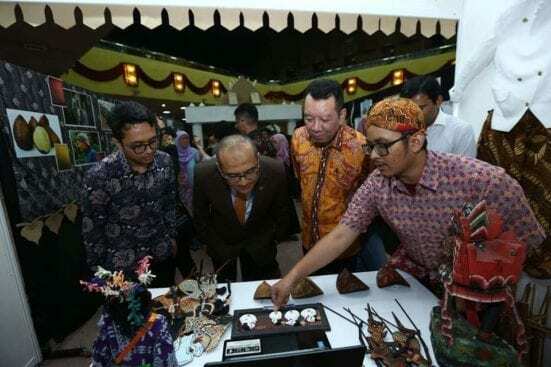 The event involved exhibition of handcraft, musical instrument, traditional costumes, cuisine, traditional games and also performances of art and culture,” he said. Miftachul Huda said the objectives of this three day events was to share knowledge about the culture and history of Indonesia to people from other countries. 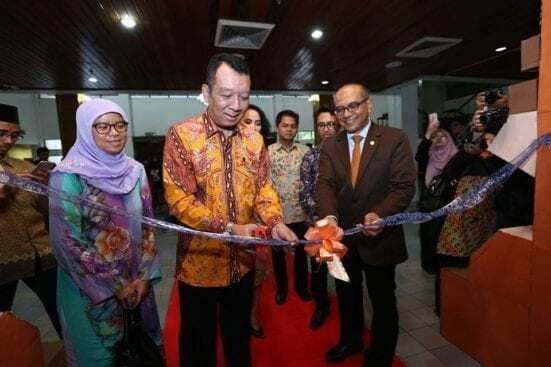 “Our programme was also meant to strengthen the bond between Indonesian people in Malaysia and also to increase the solidarity of people in the region,” he said. Also attending the launching ceremony were Pro-Vice Chancellor (International), Prof. Dr. Nordin Yahya, Director of Global Education UTM International, Prof. Dr. Nor Haniza Sarmin, the Education, Social and Culture Function of Consulate General Republic of Indonesia, Anang Fauzi Firdaus and Director of INFEST, Vendi Rizky Yandri.